Get a culinary sharpener. 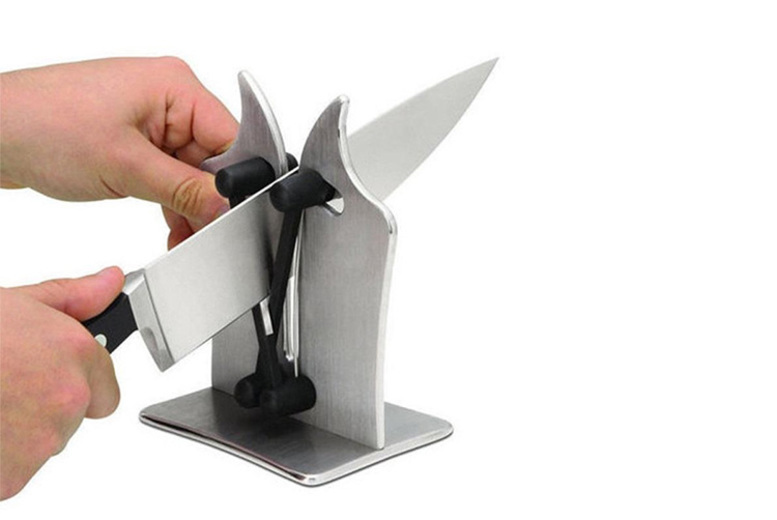 Give any kind of kitchen, chef, serrated or butter knife a new lease of life! Made with strong carbide and featuring two independent spring-action arms. Portable and compact! For easy, manual sharpening. Size: 7.7 x 6.9 x 5 inches. £4.99 instead of £14.99 (from Groundlevel) for a set of silicone ice lolly moulds – buy a set of six or 12 and save up to 67%.